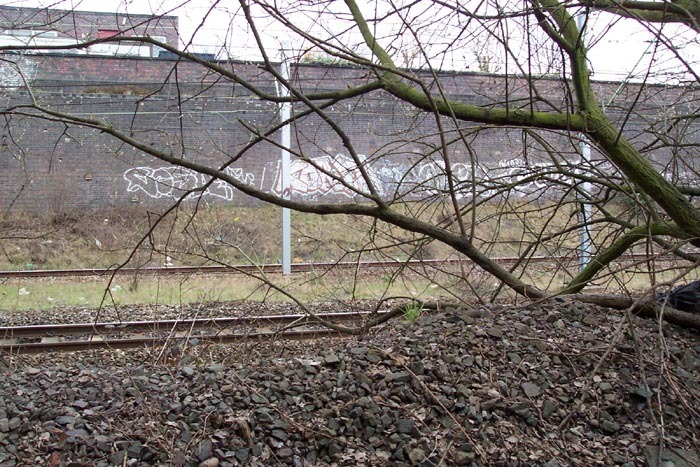 This is one of the few sites I have visited at which nothing appears to remain indicating that it once hosted a sizeable station. The station opened under the LNWR in 1867 on the line from New Street to Wolverhampton High Level. The photograph above (photo: Roger Carpenter collection) shows the station in 1955, two years before closure in 1957, looking in the direction of Wolverhampton. To the left of the shot can just be made-out the archway spanning Telford's 'main line' canal which provides today the only real opportunity for viewing the site at ground level. 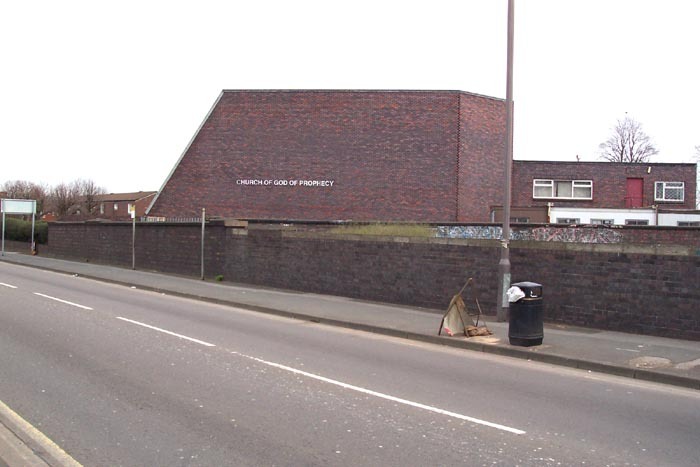 Above-left we are on Winson Green Road looking at the spot where the station entrance building stood - if you look closely at the wall from the left (especially on the enlarged photograph) you will see a raised stump of brick with a topping stone: from that point across to the right is walling built after the booking hall and stairwell access was removed. 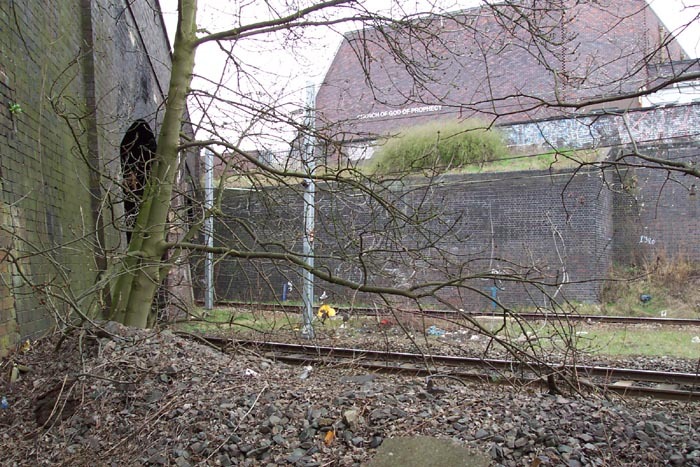 Above-right we have crossed Winson Green Road and are looking down at the station site - really the only distinguishing feature is the high wall to the left which can be compared with the 1955 shot at the top of the page. It is, however, easy to imagine the island platform between the tracks in the arrangement seen in the 1955 photograph, although the tracks have been 'rationalised' (ie: reduced). 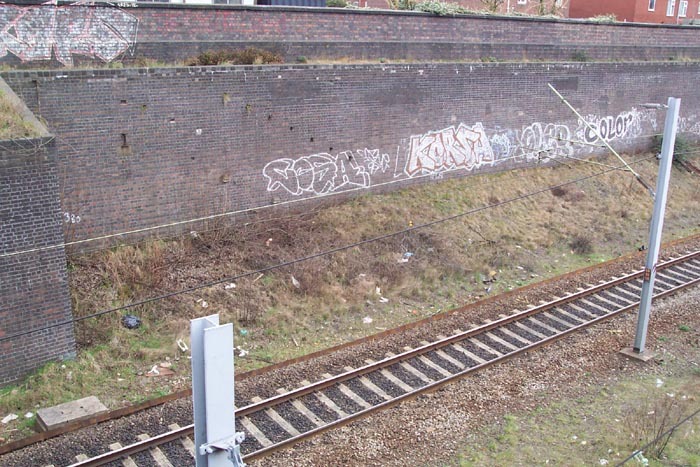 Above-left we are looking sharply down from the Winson Green Road bridge to the spot where the large stairwell seen in the 1955 shot on the far right-hand side met the platform, the site of which today appears to be a useful rubbish tip and graffiti canvas. 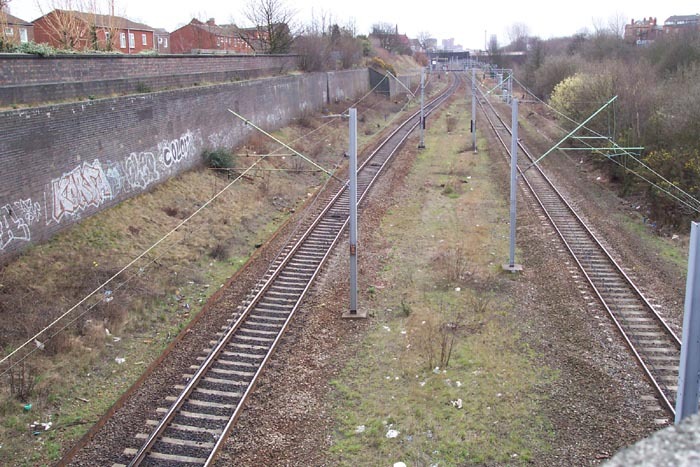 Above-right, and after a great deal of walking, we are looking across the tracks at the entrance to the Winson Green Road bridge. The photograph is taken from the canal towpath which provides the only real track-level view however, I must warn anyone wishing to share the view that to enter the canal towpath at Winson Green Road puts you on the wrong side of the canal and it is quite a walk along the canal to a footbridge to cross to the correct side and walk all the way back to the station site and then the return journey. Personally, for what is viewable here, I wouldn't recommend it! 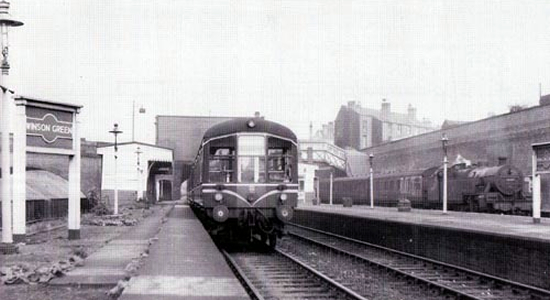 Above-left we are in a similar position to the previous shot but this time looking straight across the tracks roughly in-line with the nearest end of the platform building on the left-hand side of the 1955 photograph. 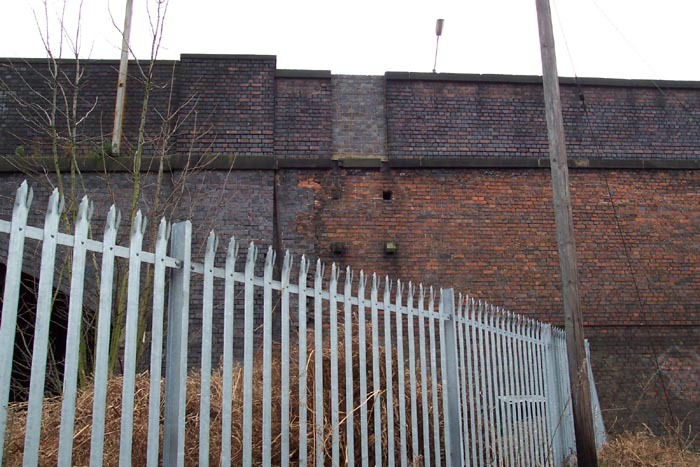 Above-right we have crossed under Winson Green Road bridge away from the station and are looking up at the bridge parapet. Discernible are the remains of what look like a stairway/ladder to track-level and a bricked-up gate to this which can be seen at parapet level. The reason for such a structure is not at all apparent today.